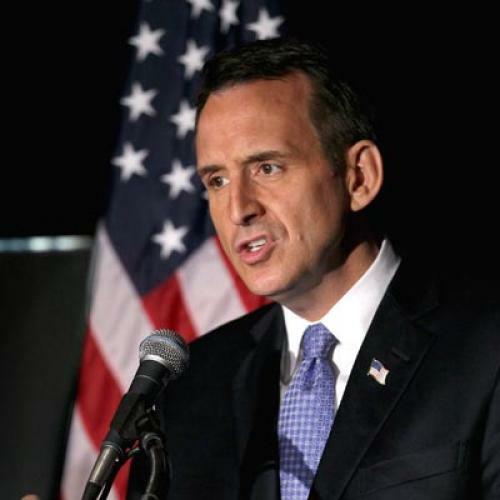 Tim Pawlenty, former Minnesota Governor and frontrunner in the "I'm not Mitt Romney" Republican primary, gave a major economic speech in Chicago on Tuesday. Although I also happened to be in Chicago, I didn't actually see the speech. And it appears I missed absolutely nothing. I say that not because Pawlenty's ideas are so conservative. I say that because they're so transparently unworkable and unrealistic. He's proposing to sustain economic growth at 5 percent for a decade, something not even Clinton or Reagan came even close to doing, and radically reduce tax rates in ways that will--wait for it--radically raise revenues. As my colleague Jonathan Chait puts it, the plan is "your basic supply-side pixie dust plan, sprinkling massive windfall gains on the rich, not bothering to make the numbers add up and assuming implausibly high economic benefits will result." I want to propose a new rule: If you're telling your audience what they want to hear, you can't present yourself as telling hard truths. Tim Pawlenty's book is titled "The Courage to Stand." The theme of his speaking tour is called "Tell the Truth." And his message? That substantially cutting taxes will increase economic growth by 150 percent and reduce the deficit by 40 percent. Some hard truth. Next you'll deliver the bad news that if I stop paying my mortgage, my income will grow twice as fast, the bank will pay off half my loan and I'll be able to use the savings to redo my kitchen. Or perhaps you'll sit me down to explain the bad news that eating more pie will stimulate my metabolism and help me lose weight. Ooh, I'm really going to resent you for that one! In Pawlenty's defense, he's just playing the game the way Republicans like it played. A few weeks ago Romney offered a health care plan: It consisted of vague platitudes and fantastical promises that few health policy analysts would take seriously. And you know what? He'll get away with it, at least in the Republican primaries. With some notable and laudable exceptions, conservative intellectuals don't hold Republicans to exacting standards on policy proposals. And conservative movement voters certainly don't seem to demand candidates put forward workable policy details. The contrast to the environment for Democrats seeking the presidency is fairly stunning. At this point four years ago, John Edwards and Barack Obama had put out detailed health care plans that had realistic assumptions, vetted by economists and health care experts, and actually looked pretty similar to what eventually became the Affordable Care act. Hillary Clinton would soon do the same. By the time the primary season was over, all three had also put out detailed plans on the economy and foreign policy. They were running for president and so, no, they didn't tell every "hard truth." Their numbers didn't always add up and some of their boasts turned out not be true. But, by and large, Democratic domestic policy proposals were both more detailed and more realistic than anything we're seeing from the Republicans, partly because Democrats knew analysts would demand rigor and partly because they understood these plans could become templates for actual governing. To be honest, this environment may not have helped the Democrats politically. During the brutal fight over health care in the Democratic primaries, more than one adviser I knew feared the candidates were making themselves politically vulnerable, by taking stands that were either unpopular or unwise. Obama did this to himself with his stance on the individual mandate, which, thankfully, he eventually changed. But overall I think it reflects well on the Democrats who ran for president then -- and poorly on the Republicans running now.